Goodbye, House. Hello, Home! 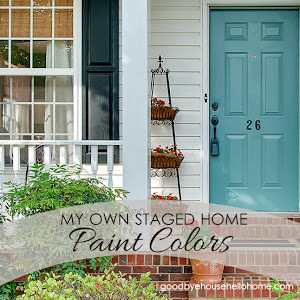 Blog : 31 Days to a Staged Home :: Day 3, What's Wrong with My House? 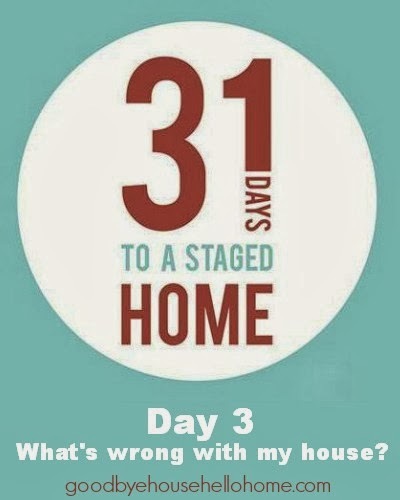 31 Days to a Staged Home :: Day 3, What's Wrong with My House? Today we're talking about why a seller needs to be aware of all of the flaws that their house has. issues in the acquisition of your property. We tend to have blinders on when it comes to the problems in our house. cracked driveway, faulty plumbing and wiring. stuff in every closet, and a plethora of personalized decor. We know our home has warts, scars, and dirty little secrets. Don't forget, Day 31 is Q & A day. See you tomorrow for Day 4, What's Right with My House? Hi Leslie! I am loving this theme... thanks for all the info you are sharing! 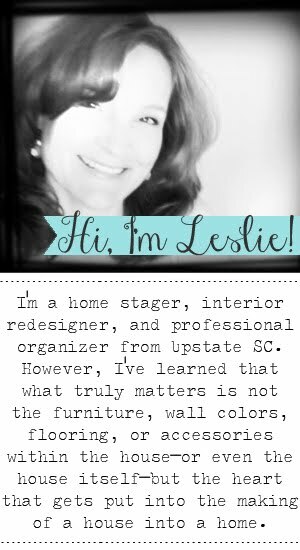 As a Home Stager, I can tell you that your ideas are spot-on! Enjoying this series! This is incredible! I'm loving all that you share! 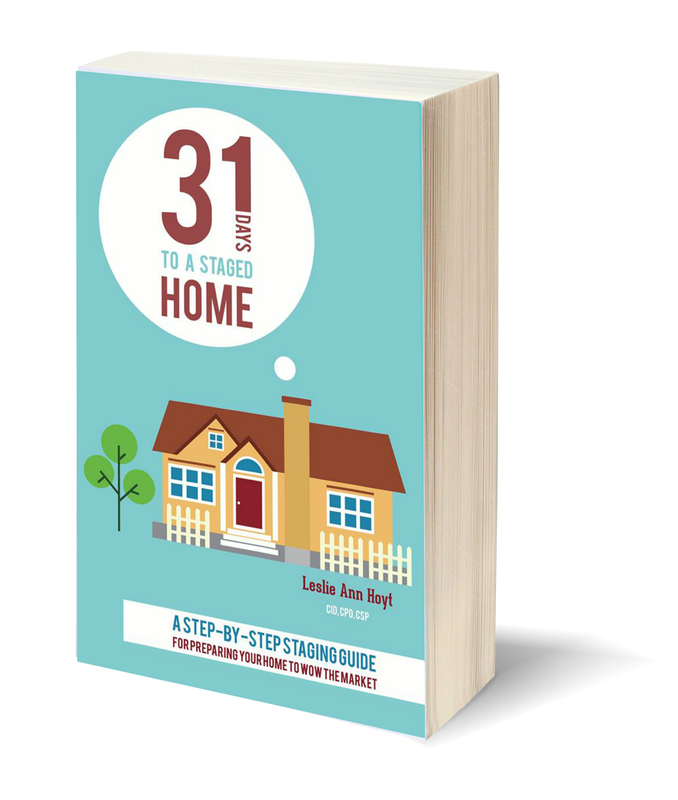 This is so helpful to me as we consider selling our house in the next couple of years. One question that I have for your Day 31 is whether we should keep our light honey oak builder's cabinets the same color or paint them? If we paint them (in a professional manner, not a cheap way), would some of the trends we see in magazines kill our resale (slate blue or gray?) or should we stay with a white or more neutral color? The cabinets are only 7 years old. Also we have a lot of builder's brass doorknobs and light fixtures. Should we change the color of these? We are about 2 weeks from putting our house on the market. Is it too late for us to get a pre-listing inspection? Leslie, you rock! This is awesome! I am taking notes!!! Thank you for taking the time and effort to do this! Great idea about the inspector. About how much does an inspection cost? Where is a good place to find one? I've been gone for the last 3 days, you betcha the first place I came was here to catch up on what I missed. Today is rest, then back to work tomorrow. Amazing tips, thanks again, plus including the links.